Nearly 4,000 additional U.S. troops will be deployed to the southern border to assist Customs and Border Protection, the Pentagon announced Sunday. According to a statement released by the Defense Department, 3,750 troops will head to the border for 90 days to aid in placing razor wire along the border, as well as with mobile surveillance operations. The deployment will bring the number of active-duty forces in the area supporting Customs and Border Protection to roughly 4,350. 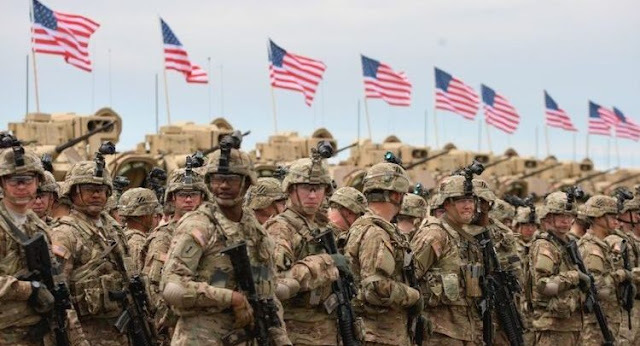 Acting Defense Secretary Patrick Shanahan said last week that the department would send "several thousand" additional troops to the border, but declined to be more specific. Rep. Adam Smith (D-Wash.), the chairman of the House Armed Services Committee, chastised Shanahan last Thursday over the lack of transparency surrounding how many troops were being sent to the border. The additional troop deployment comes amid a standoff between President Trump and congressional Democrats over funding for his desired wall along the southern border. The president has demand $5.7 billion for the structure, which Democrats have staunchly opposed. The stalemate triggered a partial government shutdown that lasted 35 days. Trump signed legislation to reopen the government until Feb. 15 that did not include money for the wall, but allowed for a bipartisan group of lawmakers to negotiate over border security funding. The president has expressed doubts that the final agreement will be to his liking, raising the prospect of another government shutdown or that he could declare a national emergency to secure money for the wall. The latter measure would likely prompt swift legal challenges. Trump tweeted last Thursday that more troops were being sent to the border, but that building a wall would be "soooo much easier and less expensive." Trump last year ordered thousands of troops be sent to secure the southern border in anticipation of the arrival a caravan of Central American migrants that the president had portrayed as a horde of criminals. Critics decried the use of the military as a political stunt.